Blogger and Sewing Designer Abby Glassenberg is hosting a series of interviews around this question, and it was the theme of the day for the #sewphotohop on Instagram today (organized by @houseofpinheiro). I considered highlighting my first quilt, but then I decided that this quilt set the course for my creative business. The pattern in Nancy Chong’s Crumb Quilt. I took her class at Quilt Camp in the Pines back in 2005. (She is better known for Hawaiian applique…visit her website here.) She even complimented me on my fabric and color selection! 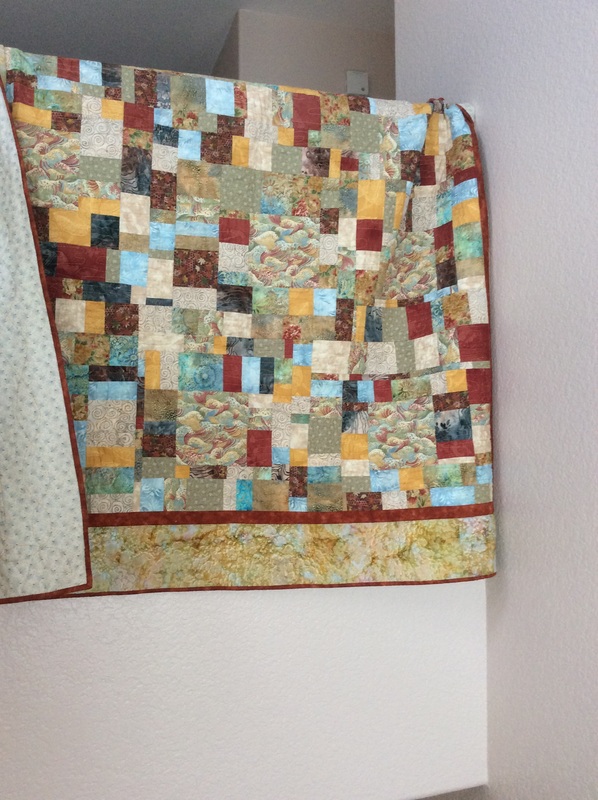 This was the last quilt I quilted on my domestic machine, and it really cemented my desire for a longarm! I remember feeling like I could not see where I was going with my stitching, and I was so sore from pushing the quilt around. Thanks to a supportive husband, I got my wish for a longarm back in 2006. What an amazing journey! Thats a great changing point in your life! !